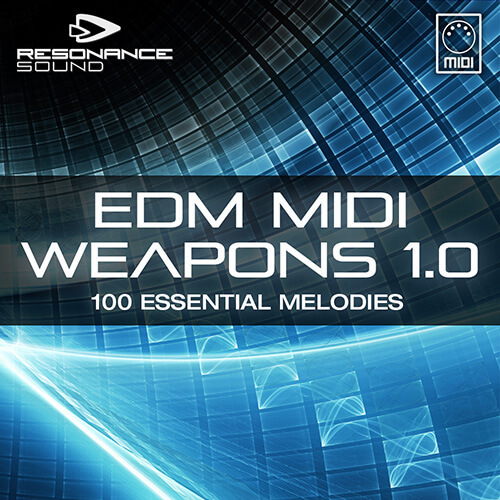 Sometimes the most striking weapons are just too tiny to be seen: EDM MIDI Weapons Vol. 1 delivers very few kilobytes of data, but at the same time a huge armory of 100 MIDIs covering everything from arps to basses, leads, chords or pads – simply the perfect starting point for your next EDM production! No matter whether you’re looking for a tiny little background arpeggio, some hammering straight bassline, rich and harmonic pads or some plucked rhythm – it’s just too simple and inspiring to throw one of these MIDIs at your synthesizer of choice and watch it enjoy some fresh bits’n’bytes.